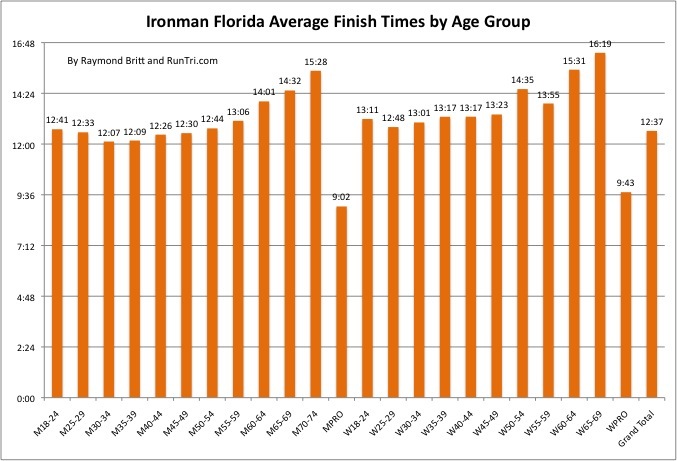 Ironman Florida's 'flat and fast' course makes it one of the faster races, in terms of average finish time. 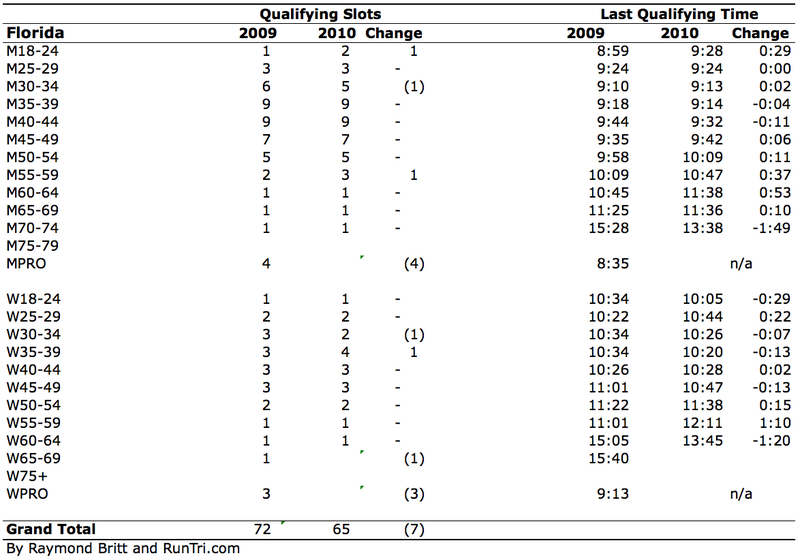 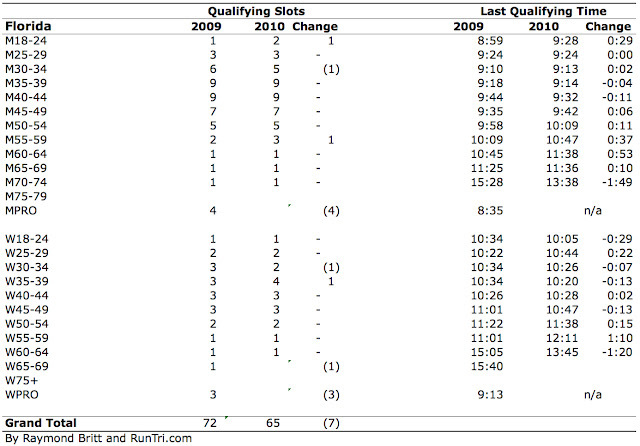 Here are average finish times by Age Group. For more analysis and information, see our Complete Ironman Florida Coverage and 2010 Race Results.